The number of ordinary judges in the Court of Appeal will be increased from nine to 15 under new Government plans to cut waiting times. 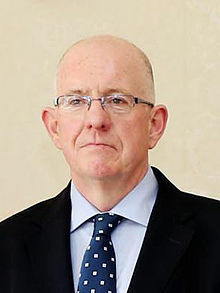 Justice Minister Charlie Flanagan said the move would ensure that the court has “the necessary resources to ensure prompt and timely access to justice”. As the increase in judges will require an amendment to primary legislation, the general scheme of a bill will be published and submitted to the joint Oireachtas justice committee for pre-legislative scrutiny. Mr Flanagan said: “It is clear that the Court of Appeal has a very significant volume of work, both in terms of the inherited caseload it received from the Supreme Court on establishment of the new court in 2014, as well as the volume of new cases it is receiving. “I am concerned that with the current waiting times, the Court of Appeal may soon be facing a similar level of delay to that of the Supreme Court prior to 2014 which stood at over four years.